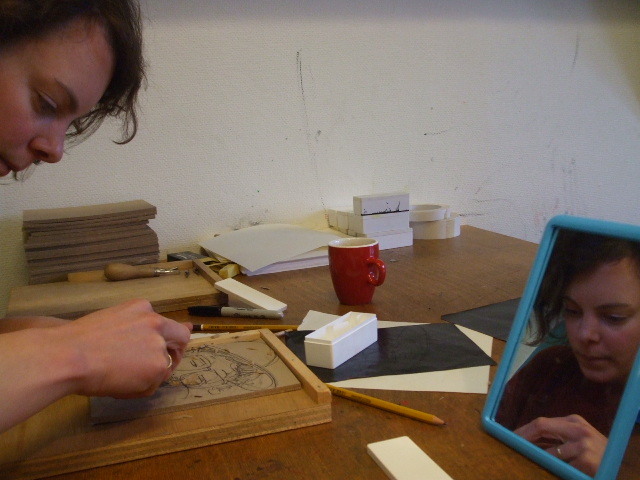 Museum Meermanno offers a number of special workshops which combine theory with practice. You might like to combine this with a guided tour and a cup of coffee. In this activity, you will put on a monk’s habit and take part in a calligraphy course using a real goose quill pen. The programme can be enhanced with the use of gold leaf. Museum Meermanno has its own printing facilities. In this activity, a text is created by the group and then set in type and printed on one of our presses. It’s no surprise that paper is an important part of a book museum. 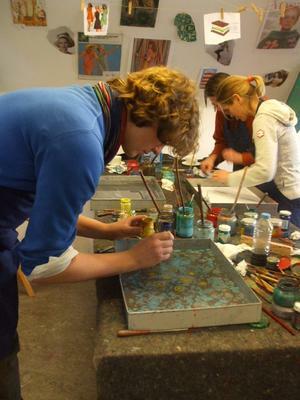 During the workshop ‘Paper making’ you will be able to create your own paper. There’s quite a lot involved before you have your self-made paper in your hands; little snippets, flowers, glitter, feathers or threads can all be worked into it. The paper has to dry overnight - we’ll send it on to you afterwards. Maximum of 20 people per group (if there are more than 20 people, the group will be divided in half). The workshop lasts 60 minutes. The workshop costs € 10 per person (minimum ten participants, € 100). For more information (including prices) contact reserveringen@meermanno.nl or 070-3462700 (Winnifred Dijkstra).